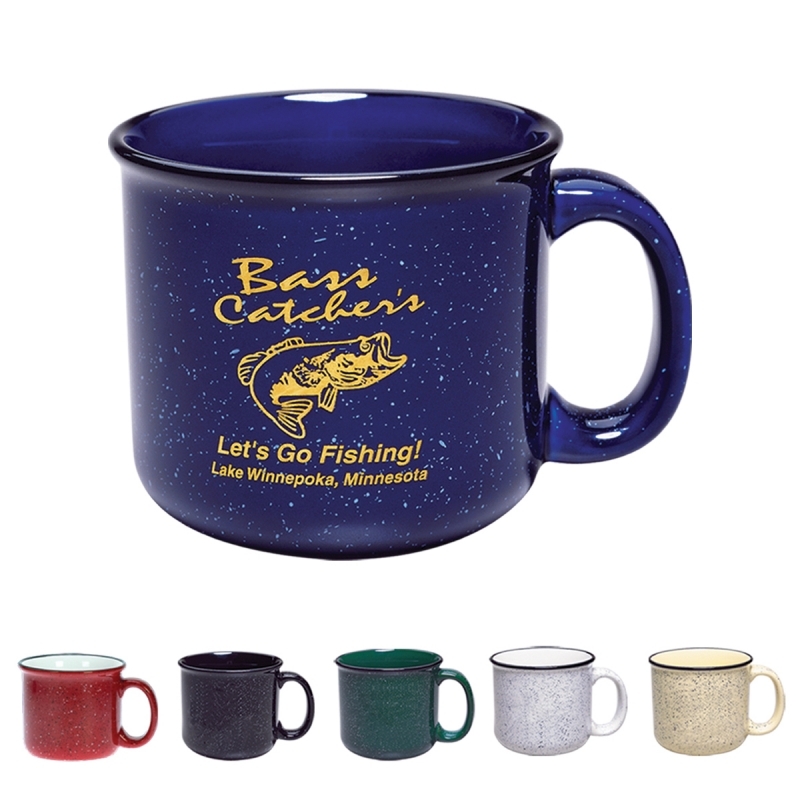 Wholesale advertising Campfire Mugs on sale. 15 oz., Retro Granite Design. Lowest cost in North America. Free Art Design. American Clients pay no taxes.